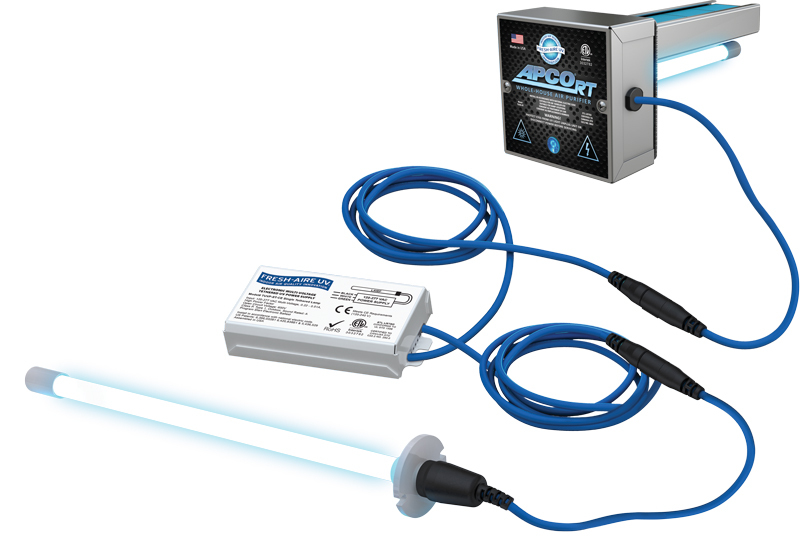 The Fresh-Aire UV APCO® RT (remote tether) system works with your central air system to reduce odors, toxic chemical vapors, germs and mold in your home. 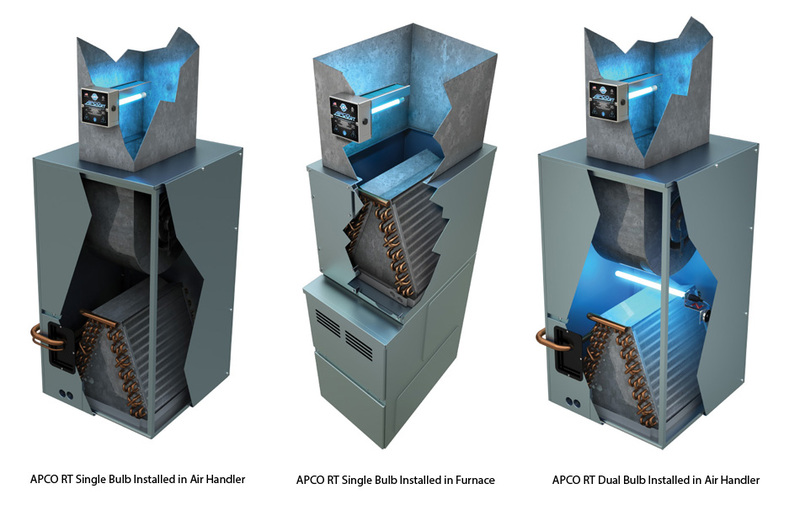 APCO® RT uses the same technology as the standard APCO unit but is easier to install in tighter spaces. APCO® RT removes airborne contaminants as the air is circulated by the central air system. Airborne microbes and volatile organic compounds (odor molecules) are captured by the APCO® activated carbon matrix and held in place by the microscopic structure. Unlike many air-cleaning devices, APCO® produces no ozone. UV-C light shining on the APCO® activated carbon matrix causes a photocatalytic reaction which transforms odor molecules into harmless water vapor and CO2 which are released into the airstream. Mold, germs, and viruses are sterilized by UV-C light shining on the carbon matrix and in the air as they pass by. The matrix of titanium dioxide infused activated carbon cells inside APCO® RT attracts and holds odors, microbes, and VOC molecules which are then catalyzed by exposure to UV light. The carbon cells are self-cleaning and the system is virtually maintenance-free other than lamp replacement. Fight Germs & Odors Without Ozone Unlike many air-cleaning devices, APCO® produces no ozone. UV-C light shining on the APCO® activated carbon matrix causes a photocatalytic reaction which transforms odor molecules into harmless water vapor and CO2 which are released into the airstream. Mold, germs, and viruses are sterilized by UV-C light shining on the carbon matrix and in the air as they pass by.